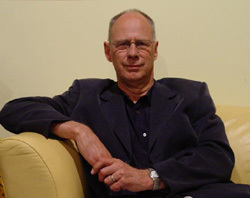 Roger Hall is New Zealand’s most popular and successful playwright. He has written 27 stage plays, plus many television series and musical comedies. Writing one or two stage hits is impressive, but continuing to hit the jackpot for three decades is absolutely phenomenal. We have no writer with an achievement like his, and since the '70s Hall has played a key role in keeping theatres afloat and local actors in work. This programme explores the secrets of why Hall has been so successful. There are interviews with many well-known actors and directors, including John Clarke (who made Fred Dagg a much-loved character in New Zealand, then became one of Australia’s leading comedians and writers). Ginette McDonald talks about Hall’s acute ear and how he encouraged her to develop the Lynn of Tawa character. She also talks about the potential danger of finding aspects of one’s own life in a Hall play. 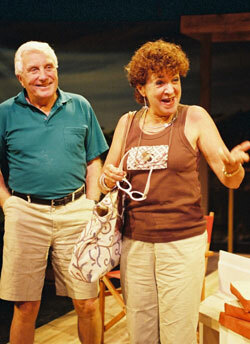 Grant Tilly and Dorothy McKegg, who had the leading roles in Middle Age Spread, talk about what it’s like playing those same characters in Spreading Out, 27 years after the original play transformed our local theatre tradition. The documentary includes scenes from Spreading Out seen for the first time on television. 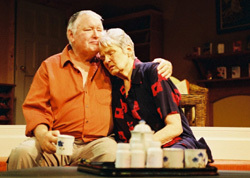 Many of Hall’s plays are based on relationships. He comments jokingly that marriage is a more interesting subject than murder. The bedroom scenes in his plays include the classic exchange between Colin and Elizabeth in Middle Age Spread, and the outrageous bed scene in Conjugal Rites, performed especially for this programme. Purchase this DVD at our online shop or contact us via email with your order.